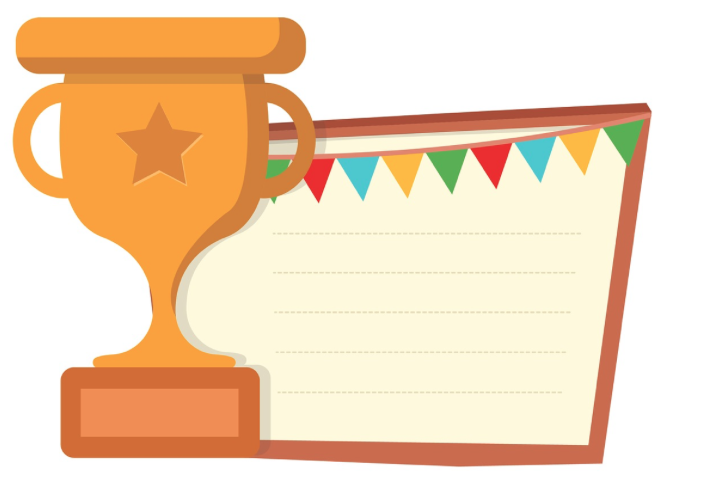 This page has been created to make sure that 5th grade parents have a place to access all information, celebrations, and special events related to their 5th graders. Bookmark this page to stay up to date with all things 5th grade! If you have fun photos from this school year, the 5th grade committee would love to include them in the end of year video of our 5th graders! Email any and all photos to dcegrade5@gmail.com. Coach Sledge, Coach Mace, and the 5th grade committee are putting together an all-star DCE faculty team to compete against the 5th grade classes in some of their all time favorite games! All 5th graders are invited to come compete with their class on Friday, April 5th beginning at 4:30pm. 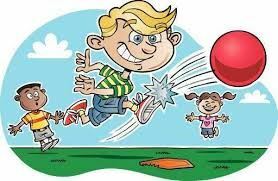 Each 5th grade class will play one of these games -- Swamp Ball, Capture the Flag, Make It Take It, Topple Ball, Relay Games, Tug of War, and Kickball. Each competition will last 15-20 minutes. Gates will open at 4:00pm. All adults attending must be a pre-approved volunteer and have pre-registered by April 2nd. No exceptions will be made. This is an event that your 5th grader will NOT want to miss! Add this event to your calendar now. After the sports games are completed, ALL 5TH GRADERS ARE INVITED to run in the most exciting event of the year -- THE COLOR RUN!! The Color Run is an annual tradition at DCE and is for 5th graders only. 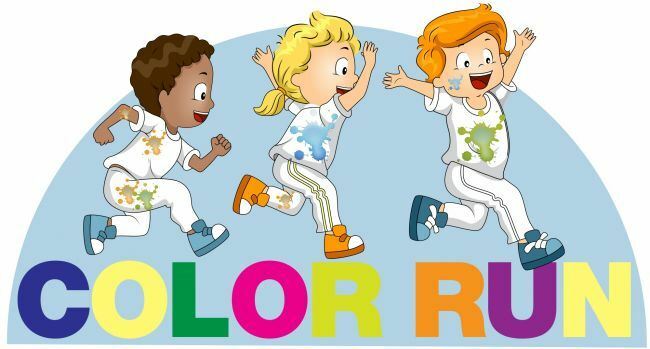 Parents and siblings are invited to throw color at the kids as they run through the course! Pre-orders for color are coming home this week. You can find order forms [HERE]. The 5th graders will run through a course similar to the Fun Run. The kids will wear white t-shirts (Fun Run shirts would be perfect!) and eye protection will be provided for the 5th graders courtesy of Dr. Ann Nguyen (Target Optical or Lens Crafters). At the conclusion of the Color Run, the 5th graders will meet in the middle of the course together and throw their own color up in the air to end a super fun evening! PLEASE NOTE: Food and snow cones will be available to purchase. Gates will open at 4:00pm to allow all APPROVED VOLUNTEERS to pick up their pre-registered volunteer sticker and get out on to the field in time for the first sports game to begin. Pre-register by April 2nd - you will not be able to enter that night if your sticker has not been printed. You can also find this form here [HERE]. 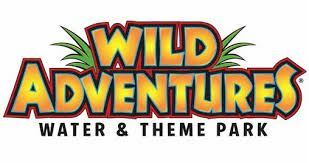 The 5th grade end of year trip is to Wild Adventures! The 5th graders will board buses early in the morning and return in the evening (more details about exact times will come closer to the field trip). If you have any interest in chaperoning this end of year field trip, you must be an approved volunteer. More information about Wild Adventures can be found HERE. To celebrate the great accomplishment of finishing elementary school, all parents, grandparents, family friends, etc. are invited to celebrate our 5th graders at the awards ceremony during the evening of May 23rd! The awards will begin at 6:30pm. During the school day, the 5th graders will enjoy a day of food and fun during their end of year celebration! More details coming soon, but just a heads up...only the parents who have helped out on the 5th grade committee during the school year will be invited to help out at the 5th grade celebration. If you want to help out with the 5th grade committee, please contact Christie or Bonnie for more information!